I normally dry the washing on top of the AGA (it costs so much to run it doesn’t make sense to use the tumble dryer) but I do get fed up of having washing in the kitchen all the time. Last week it was so windy so I decided to get a rotary washing line. 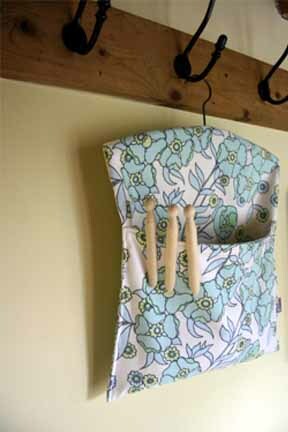 Well, you can’t have a washing line without a stylish peg bag. I found this fabulous one from Pouch made from vintage fabric…..